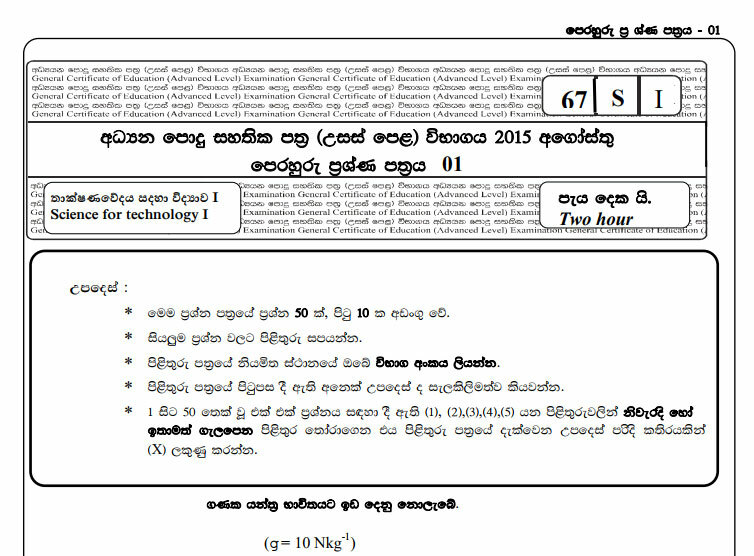 Ministry of Education has published Model Papers for GCE A/L Science for Technology. Department of Examinations has published Structure of Question Papers and Prototype questions for A/L Technology stream subjects: Science for Technology (SFT), Engineering Technology and Bio System Technology. I need tamil passed papers of all provinces if you have your’s. Please share with me. And I will share the papers I got from my friends. I need mathes past papers immediately.It’s not combined mathematics. Please help me. Can any one send me the notes of science for technology? Can anyone update this year (2017) Maths stream pass papers pls?